ONE OWNER, TOP SPECIFICATION EXAMPLE COMING WITH TOTAL NISSAN MAIN DEALER SERVICE HISTORY IN SUPERB, UNRIVALLED CONDITION THROUGHOUT. THIS LOVELY EXAMPLE LOOKS GREAT IN THE MUCH DESIRED BLUE STEEL METALLIC WITH FULL BLACK LEATHER INTERIOR. JUST ARRIVED! 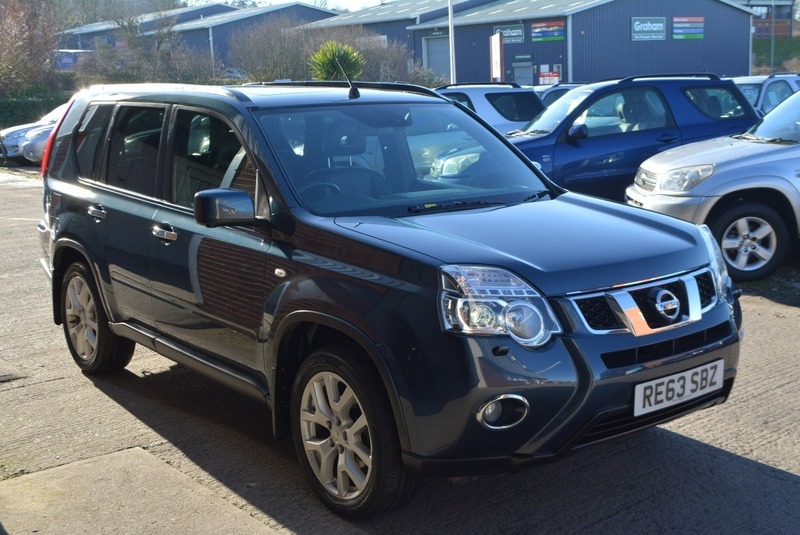 Here we have a stunning NISSAN X TRAIL TEKNA DCI 2.0L MANUAL DIESEL 5 DOOR 4X4 i blue metallic with full black leather interior in truly exceptional condition throughout. This one owner example, which has only done motorway mileage, comes with full Nissan main dealer service history at intervals of 17k, 35k, 45k, 69k & 89k having now just turned 96,000 miles. This top of the range model comes gully loaded with a factory fitted electric glass panoramic sunroof, satellite navigation, full colour reversing camera with 360 birds view parking assist, climate control air conditioning, cruise control, alloy wheels, electric windows, am/fm stereo with front loading cd player, Bluetooth telephone connectivity, usb & ipod connection, electric mirrors, rear privacy glass, key-less entry an to fully remote keys. Not to be confused with lesser vehicle on the market, must be seen and driven to be fully appreciated.